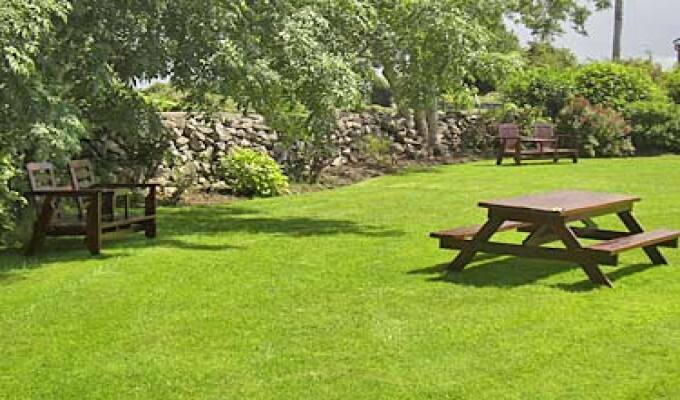 We at Springlawn B&B, in Clarinbridge, extend a Cead Mile Failte to all our guests. 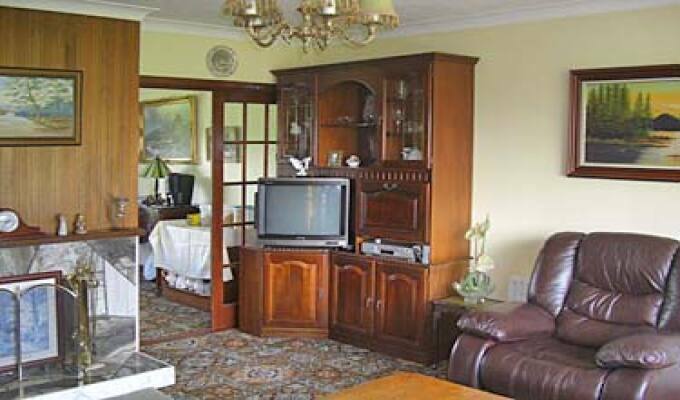 A long established B&B where you are guaranteed a warm welcome with friendly professional service. A luxury home, offering excellent accommodation, set on its own spacious grounds surrounded by beautiful mature landscaped gardens with a spacious car park for guests. You can take a leisurely walk to the sea or Clarinbridge village from here. Irish Tourist board approved. We hold several Failte Ireland merit awards. Recommended in the American Causin/Dillard guide. 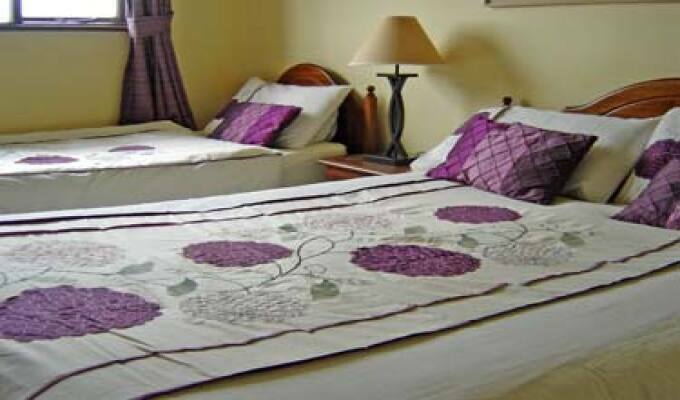 The premises has three comfortable bedrooms. Room (1) has a double bed. 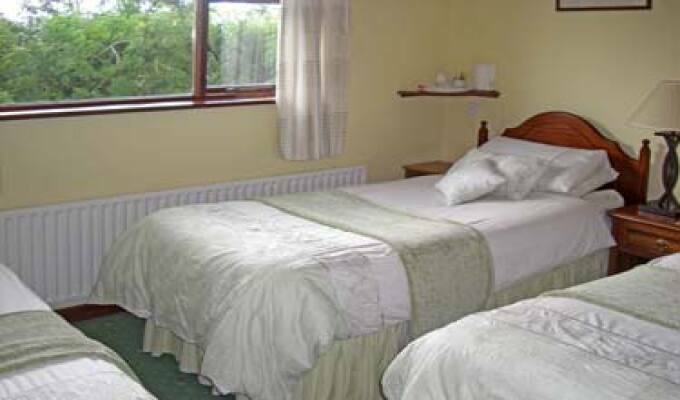 Room (2) has a double and single bed and Room (3) has three single beds. All rooms are ensuite with tea/coffee making facilities, hairdryer and 24 free wi-fi for your laptop. Extensive breakfast menu with home baking and organic foods served. From Shannon: Take left turn off the N18 as you enter Clarinbridge village. Stradbally North road. B&B signposted. From Galway: Take the first turn right off N18 after Clarinbridge. 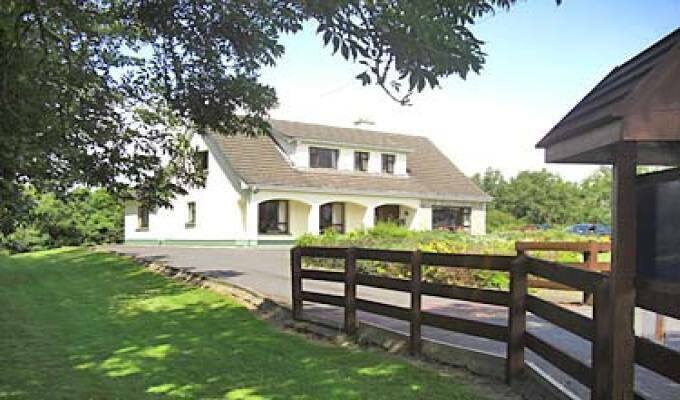 15 minutes to Galway airport. 1hour to Shannon airport. The owners are wonderful, 3 of us girls stayed there in Sept. We went to N Ireland first not knowing how long it would take & didn't get to Clarinbridge until after 10pm, stopped at a pub and they called them to let them know we could not find the b&b in the dark GPS no help as Ireland has no addresses. Anyway, we just didn't go down the dirt road quite far enough and ended up going to a hotel in town, which was full, so 3 of us slept in the car in the parking lot. We showed up about 7 am at the B&B and found out they had waited up till 2am for us SO SWEET! She made us breakfast and we slept for a time before going to town. Spent 2 nights there and would highly recommend this B&B. Thank You so much, so sorry you lost sleep worrying about us, we very much appreciate your thoughtfulness. One word to describe this B&B = absolutely perfect. Don't know what to say more. Absolutely clean, beautiful rooms, friendly and warm hosts, delicious breakfast you can chose between several options, lovely interior fittings. Stay in this B&B and meet two warm-hearted and open-minded hosts. Thanks a million!! My stay at Springlawn B&B was the most pleasant of my three weeks in Ireland. Clean bright room, hot shower,lovely breakfast ,and Mrs McNamara is a gracious and knowledgeable host. Close to all the best of County Galway and Clare.